A combination of evic vtc mini and cuboid mod, Joyetech eVic VTC Dual Kit is highlighted with its different working output 150W and 75W, which means that you can use single 18650 battery or dual 18650 batteries with different back covers. Combing the features of evic vtc mini and cuboid mod, Joyetech eVic VTC Dual Kit is highlighted with its different working output 150W and 75W, which means that you can use single 18650 battery or dual 18650 batteries with different back covers as you wish. 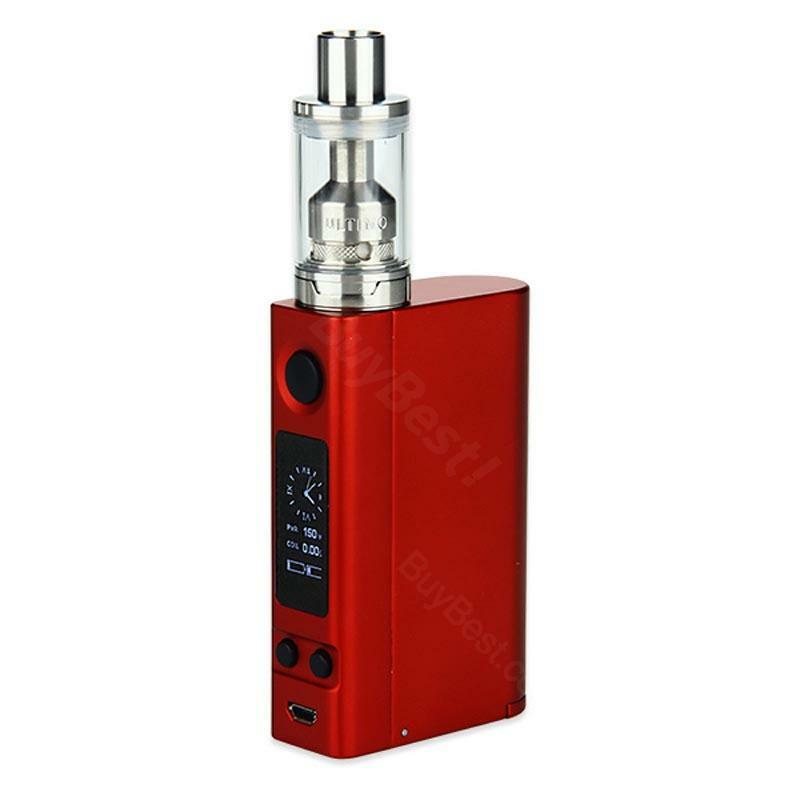 The 150W evic VTC Mod come with 0.96” big OLED Screen display and RTC (Realtime Clock) function, making this box mod elegant and exquisite to the full. ULTIMO atomizer is featured with 4ml Eliquid capacity, improved adjustable airflow control and top filling system. This evic VTC Dual kit will give you higher cost-performance. • You can buy liquid or 18650 battery to work with it. • Compatible with MG Ceramic Head, MG Clapton Head, MG QCS Head and MG RTA Head. Awesome looking. And the replaceable back cover is so nice. I like it very much. This dual kit has totally exceed my expectations. I enjoy it very much with .5ohm and 60 watts. Great shop. They send my parcel so fast. All is normal till now. I'd like to purchase a second evic VTC dual kit in the future. Holds perfectly in hand. eVic VTC can transformed to smaller or bigger one as long as you changed the back cover. That make it more fun.